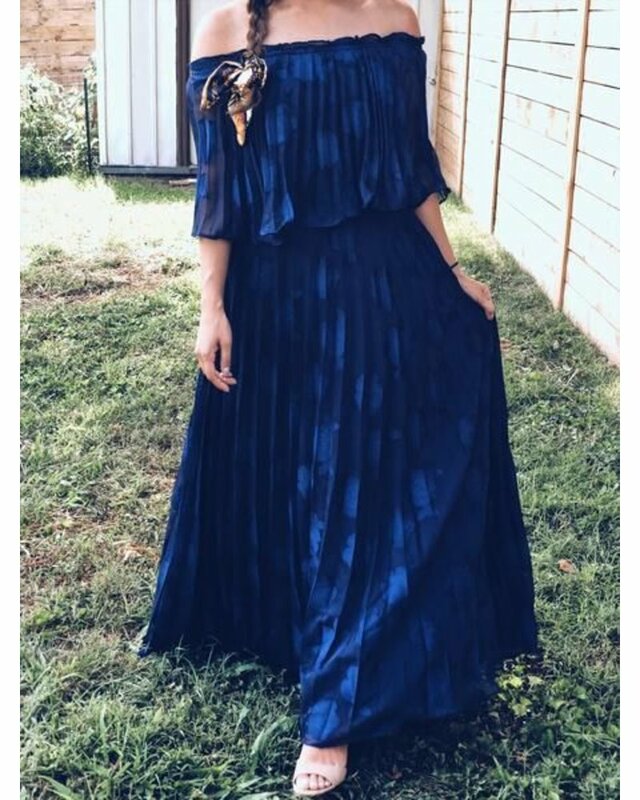 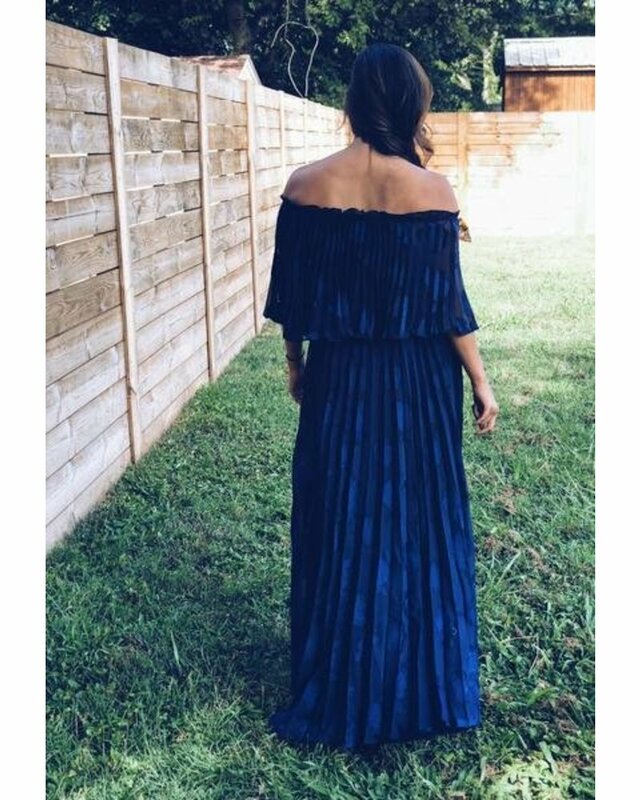 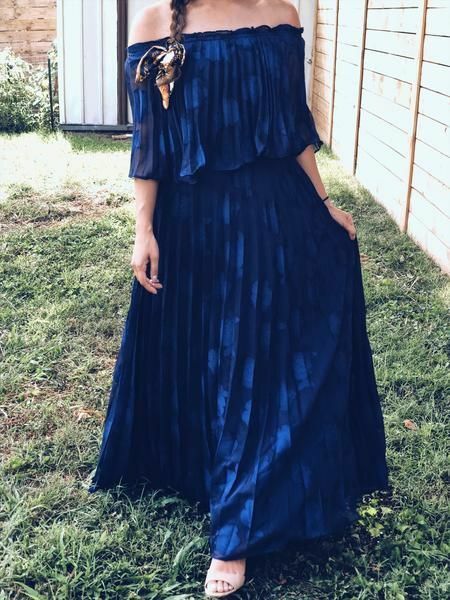 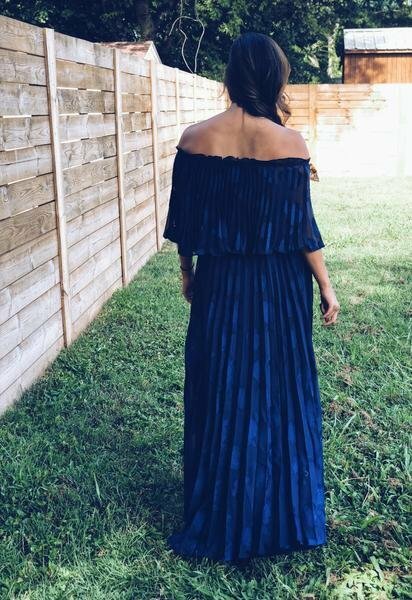 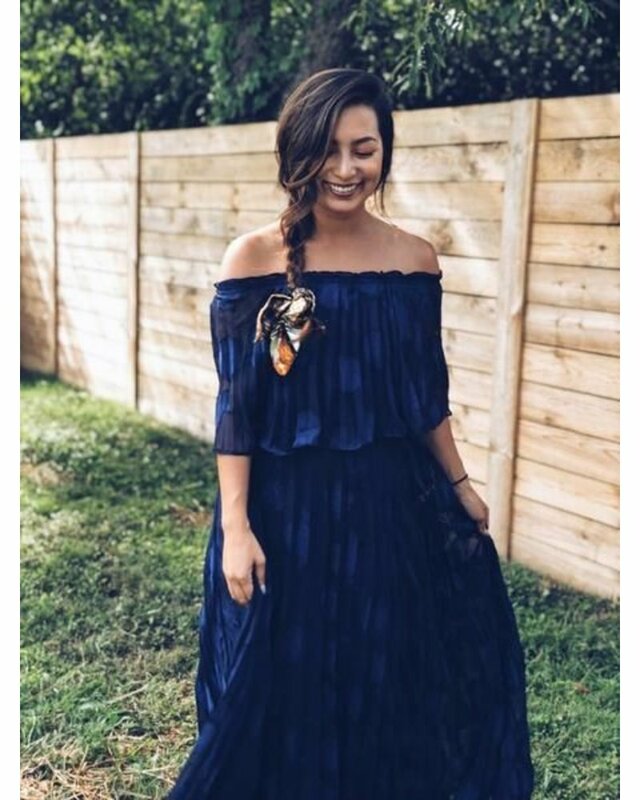 Navy Pleated Maxi. 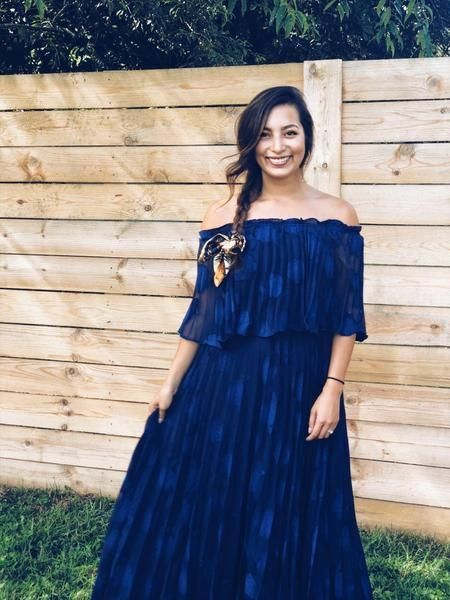 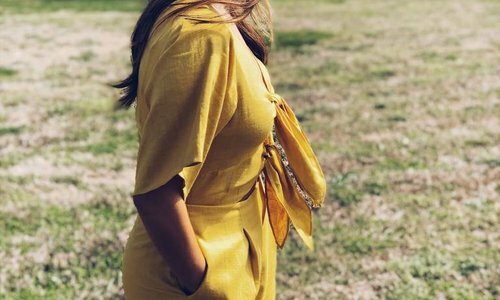 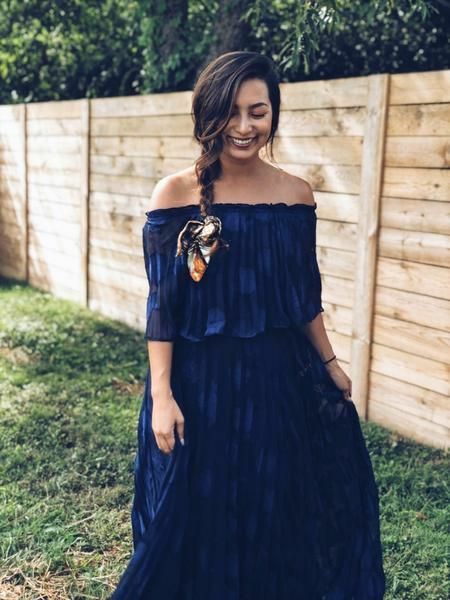 Off the shoulder dress that actually doesn't ride up on your arms! 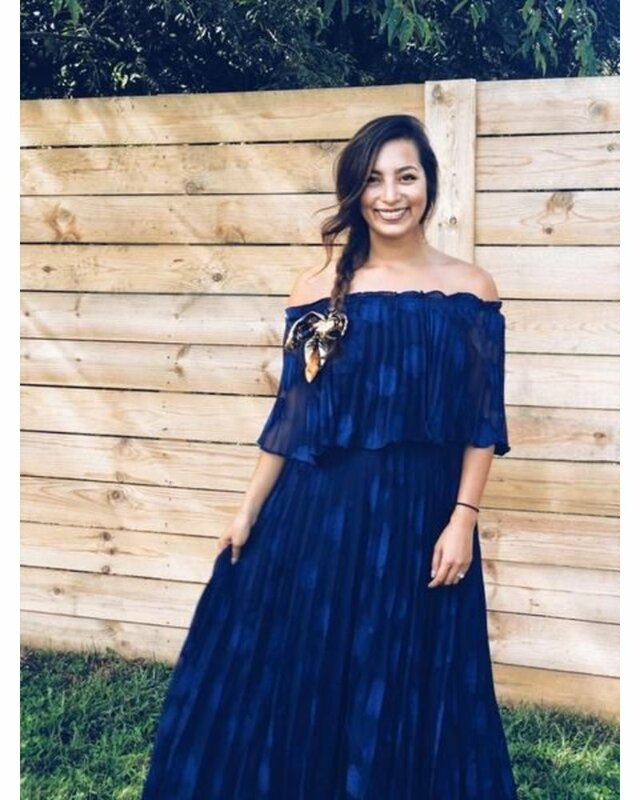 The prettiest blue and flows oh so nicely.